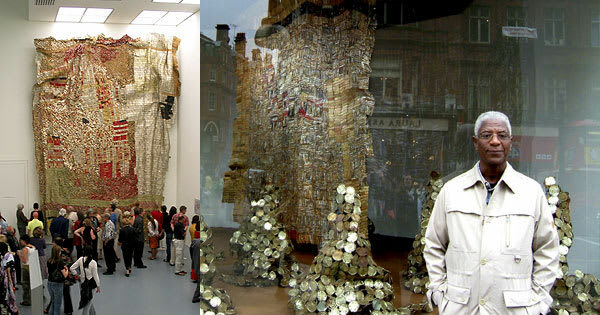 El Anatsui has really taken off in 2012. He just completed two building wrap installations at the outer Galliera at the Musée de la Mode de la Ville for the Paris Triennial and has an epic retrospective that just opened at the Akron Art Museum through October. After the retrospective, he has a new exhibition opening at Jack Shainman in NYC. In any case, these two installations are only the beginning.